Take your stinking paws off me you damn dirty ape! Enjoy the night of costumes and candy. 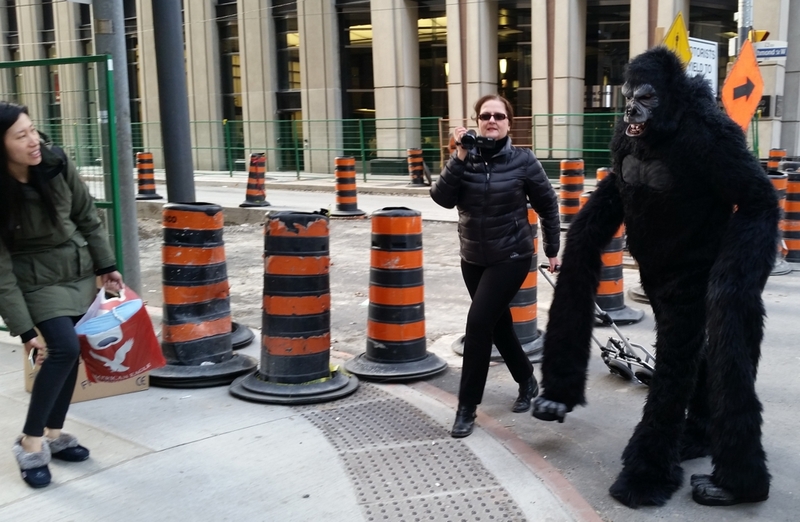 I found this ape walking around downtown Toronto.